Moschino, known for their weird and “out there” pieces, has wowed us once again. 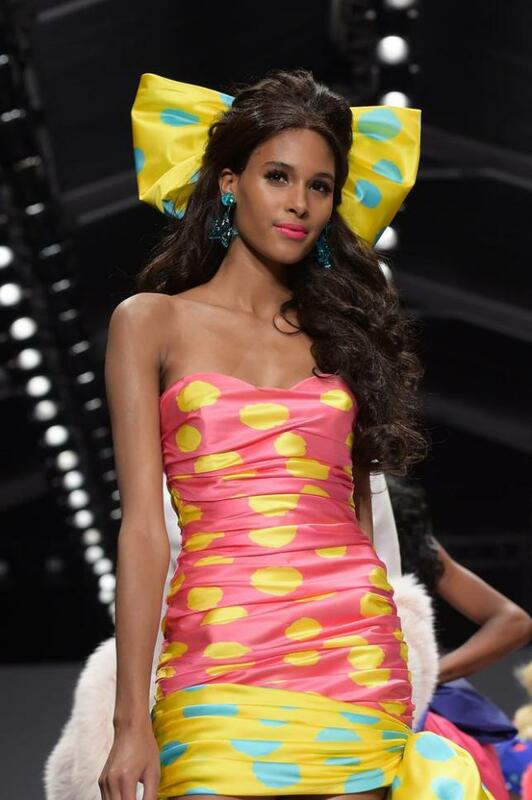 CD Jeremy Scott debuted his Barbie inspired Think Pink collection last week. This Barbie girl is ready for the beach, the gym, work, or a night on the town. You can find every color of the rainbow, and lots of platinum blonde hair on that runway. Polka dots, hot pink, and lots of attitude, this runway was like a walk through the fantasies of Elle Woods. This collection is officially available to rent from Rent the Runway.